Police have made three arrests at Silverstone today as campers filed in for the first practice sessions. Three people have been arrested at Silverstone racing circuit after they were suspected to have travelled to the British Grand Prix event to ‘steal from tents’. Thousands of campers descended on the Northamptonshire racing circuit today as the first practice sessions got underway. 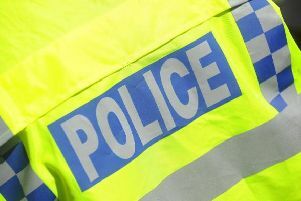 A Northamptonshire Police spokesperson said no crimes have been reported by members of the public, but following intelligence leads, three people were arrested on suspicion of a number of offences including carrying an offensive weapon and being in possession of drugs. It is believed the three had travelled to Silverstone to “steal from race goers’ tents,” the spokesperson added.